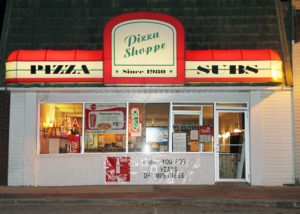 On October 31, 1980, the Pizza Shoppe opened in downtown Mancelona, Michigan. Bernie and Sue Blackmore built their business by providing their customers with an extended menu featuring salad items and appetizers, grilled sandwiches and burgers, deep fried favorites, Italian specialties, and of course, pizza. Bernie and Sue have two grown children, Amy and Jason, and six grandchildren, Sadie, Ella, Brooke, Bennett, Eli and Lucas. They are committed to serving the Mancelona community and are involved in many aspects. On February 26, 2015 Bernie lost his battle with cancer. Since then, Susan has continued running the business. The Pizza Shoppe is open seven days a week for dinner at 4:00 p.m. On weekdays, lunch specials are available for dine in or carry our from 11:00 a.m. to 1:00 p.m. Daily specials are posted on our website, and emailed weekly to our customers. To be added to our emailing list, please contact us. Delivery service is available after 4:00 p.m., for a moderate fee. Our dining area, which has a large screen TV, is spacious enough to accommodate groups and big families, yet small enough for you to feel the hometown atmosphere. 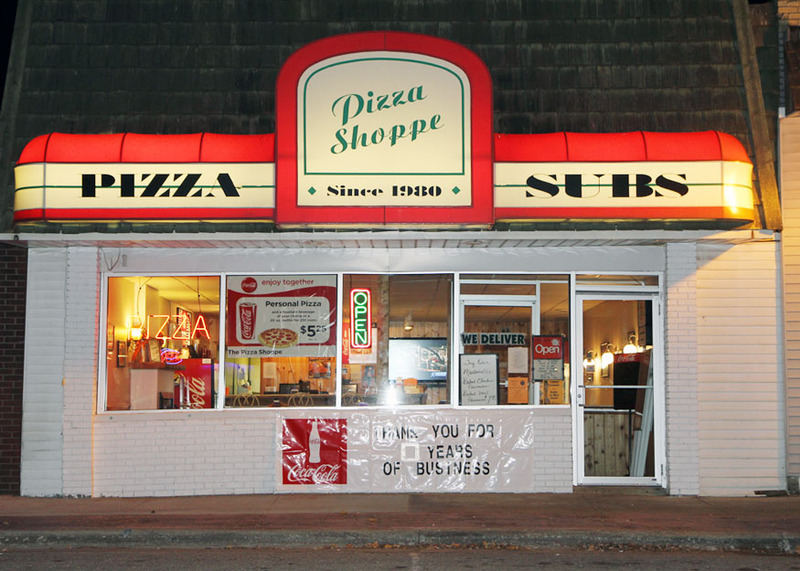 Each year on Halloween night, the Pizza Shoppe celebrates its anniversary with specials. Neighborhood children are out and about trick-or-treating, adding to the fun and good spirits. We welcome you to the Pizza Shoppe in Mancelona where you may come as a stranger, but leave as a friend!